"New Age," as it's used today, seems to relate to a coming of a whole new age of enlightenment of the entire planet and everyone on it. 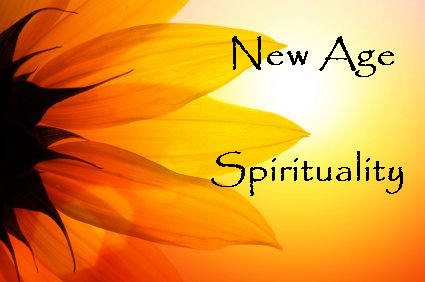 A new age of spirituality, if you will. With so many dogmatic religions on our planet, it's hard to imagine going into a new age where everyone thinks alike. I spent many years studying the world's religions in depth. My personal conclusion is ... they are simply different paths to the same destination. However, New Age isn't about religion. It's all about spirituality. There's a big difference! Spirituality doesn't contain doctrine. It doesn't contain "laws" handed down from specific deities. This supposed New Age assumes that suddenly everyone is going to "get it" that our universe is governed by the universal laws that affect everyone, no matter what their religion. Over eons of time many cultures have already "gotten it." 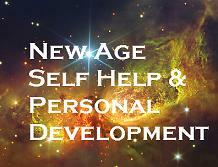 In fact, it is their teachings that are being accepted today as the basis of New Age. Masters in the Far East have lived some of these "new age" principles for centuries. Some "New Age" beliefs are simply recycled old myths from various religions. Some are pure fantasy based on wishful thinking. Some are outright scam material to sell you on the idea that you can be GIVEN special powers. (At a very high price, I might add.) Or even worse, that some people have more power than others. Not true! No one has more power than anyone else. We ALL have access to the same powers, and they are within everyone - merely waiting to be used. It doesn't need to be made so complicated as some New Age gurus claim. The sooner it is simplified - the sooner the guru mentality is dropped - the sooner more people will understand. And, we might even actually come into a truly more global new age. Can Christians Follow New Age Beliefs? Answer: There is nothing inherently anti-Christian about New Age beliefs, although some Christians (primarily more conservative ones) object to various New Age beliefs. Indeed, most New Age beliefs do not belong to any one religion, and many New Agers are also Christian by religion. For example, angelology is commonly labeled as New Age yet is rooted in Judeo-Christian lore. Reiki is a method of focusing energy to provide healing, which practitioners rarely find at odds with religious beliefs and may even view it as a God-given talent or a task taken up out of love for their fellow man, as they believe God desires.